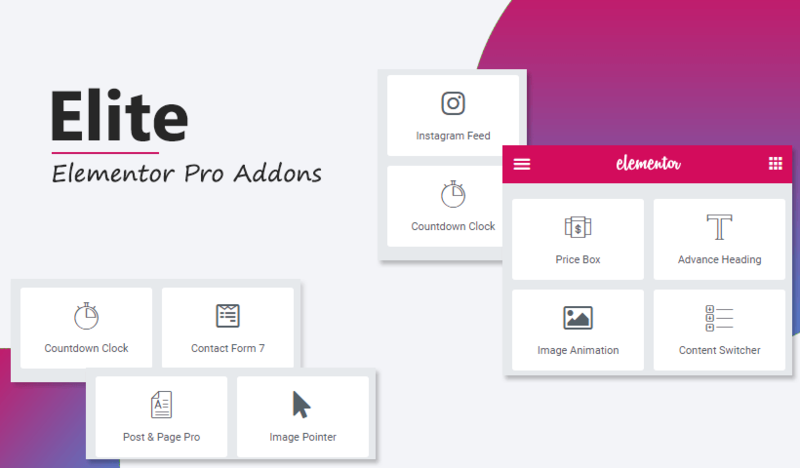 Elite Addon For Elementor gives you 10+ new Elementor widgets to build your designs with, advanced widgets like - Countdown Clock, Icon List, Contact Form 7 Style, Advance Heading, Content Switcher, Post & Page Pro Addon, Instagram Feed, Image Animation, Image Pointer & Pricing Box. 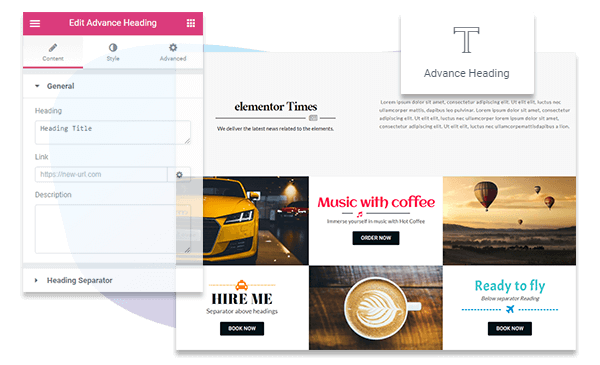 This add-on expands the functionality of Elementor plugin and you can design an amazing looking website. Elite Elementor Pro Addons is very light-weighted, no extra load on your site. You can easily drag & drop widgets and start customizing them. 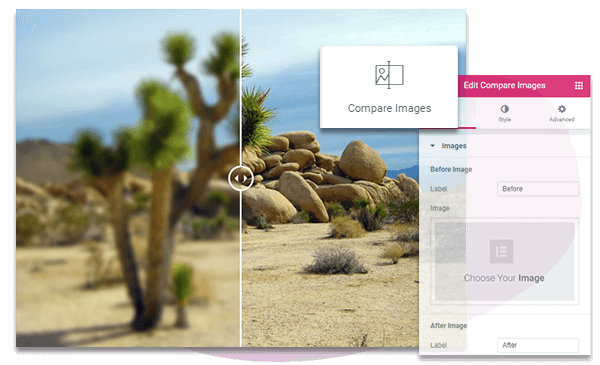 Compare Images addon is a great tool to put two images side by side and compare them. Compare different images and let the visitors view Before and After photos while using it. This addon makes it easy to show your visitors the difference between two images. 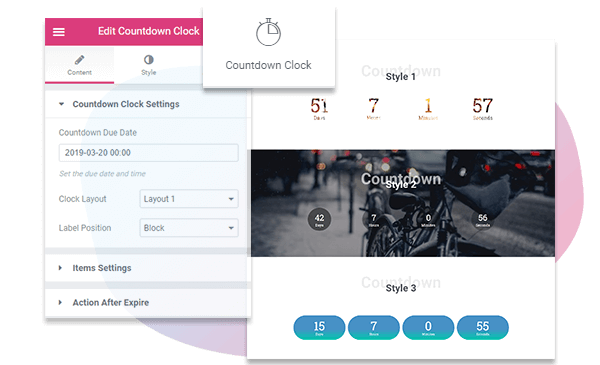 Our CountDown Clock Addon allows website owners to create nice and functional timer just in a few minutes. Placing this addon on the website will create haste in user's mind and contribute in the increase of website sale. 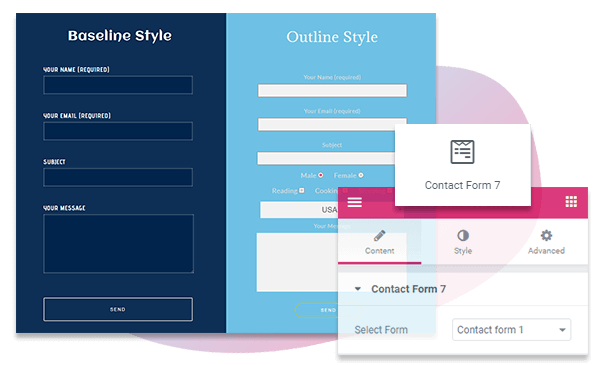 Contact Form 7 Styler Addon will be useful in designing the contact form which you have created using Contact form 7. You can style it by adding color, typography in your form. Icon List Addon will allow you to add icons or images to list items in your website. You can style the icons and images to make your list look great on website. 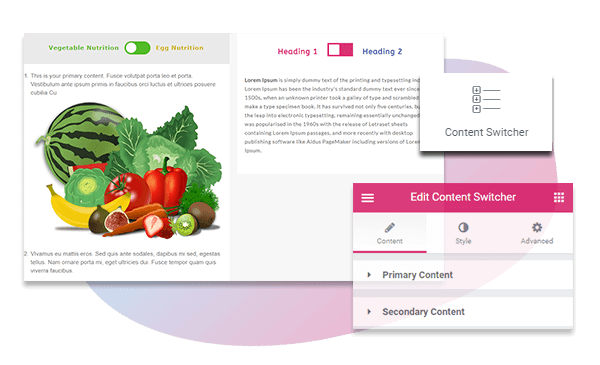 Content Switcher Addon allows you to switch between two different types of content with many customization options. Using Advanced heading Addon you can make the heading speak itself. You can display your content standout with catchy heading. 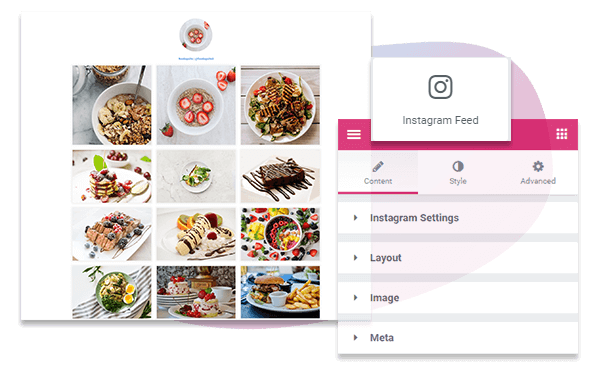 Instagram Feed Addon allows you to add Instagram feed to your website with many customization options. You can easily filter these images based on time. 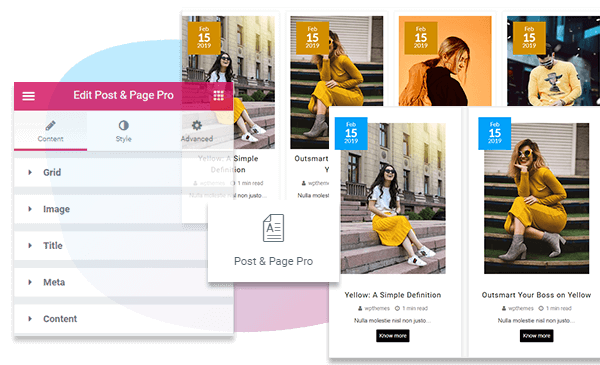 Post & Page Pro Addon includes many amazing blog styles to show your blog posts listing on your website with many customization options. You can smoothly style your blog post using it. Image Pointer Addon allows you to draw attention on your images by placing a round or glowing tool tip by an animated text box. You can easily highlight certain parts of an image and create further engagement with your advertisements. Image Animation Addon allows you to create attractive images with great visual impact. 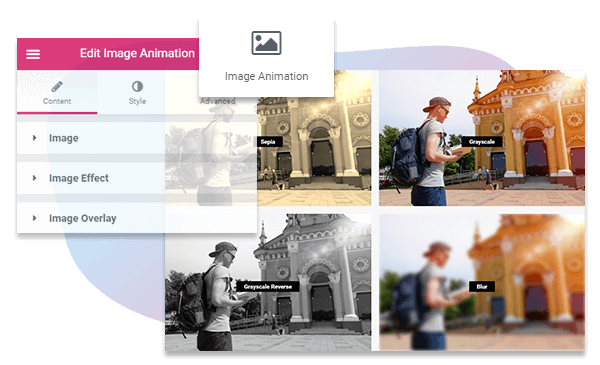 It provides you the ability to choose beautiful image filters, color/image overlays, and animation effects. 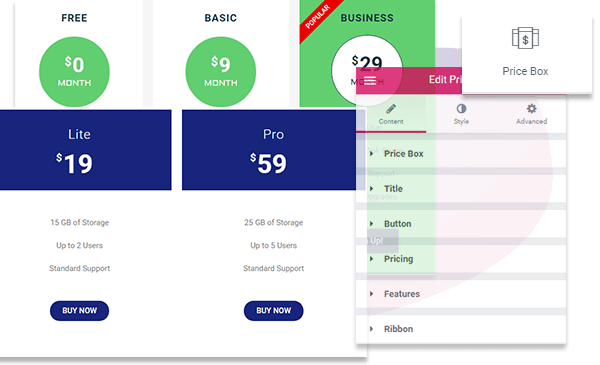 Pricing Box Addon allows you to showcase the prices for your product, services, or packages in a beautiful and responsive pricing table. You can add styling to each pricing table. Get Addon ready in few minutes. Install plugin add widget go to the live customizer and style form according to your wish. Yes your widget is ready to use now! Elite Addons widgets are fully compatible with Elementor 2.0 Dynamic Fields. You can make the process of website building a lot more fun and easy. Customize your widget addon and see changes in real time. 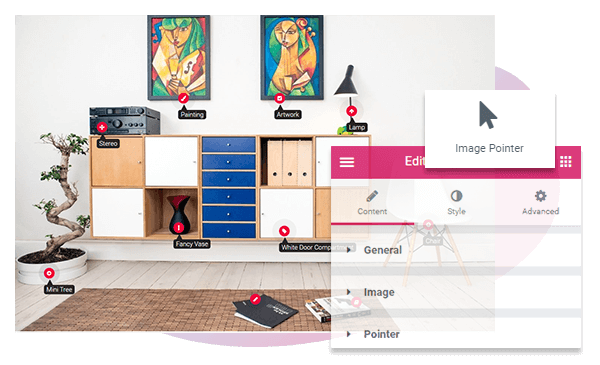 You can upload images, change colors, Add headings and alignment and much more. In this plugin, we are giving you 10+ demo's which are helpful in making unlimited layout designs for beautiful website.